A reminder to fly your U.S. flags today in honor of the U.S. Navy. 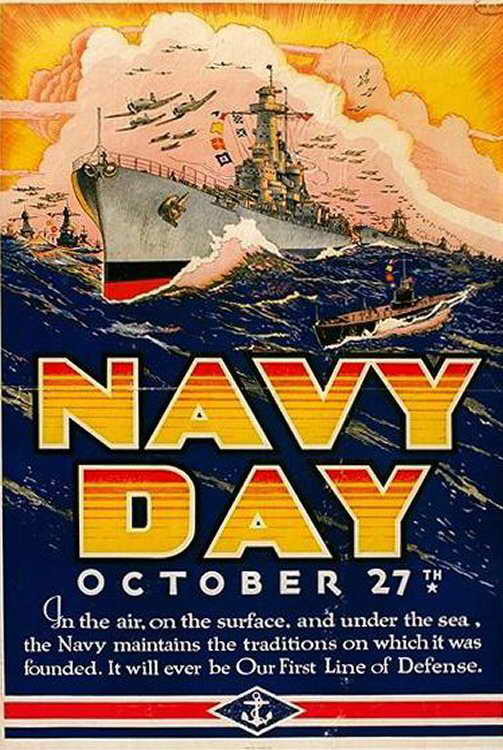 We celebrate Navy Day each year on October 27, one of the score of dates designated in the U.S. Flag Code to fly Old Glory. Navy Day honors everyone who serves or served in the U.S. Navy. Navy Day may be eclipsed by Armed Forces Day, Memorial Day and Veterans Day in modern life, but it’s still in the law and the Navy still notes it. Plus, we celebrate Navy Day on the birthday of former Secretary of the Navy Theodore Roosevelt. 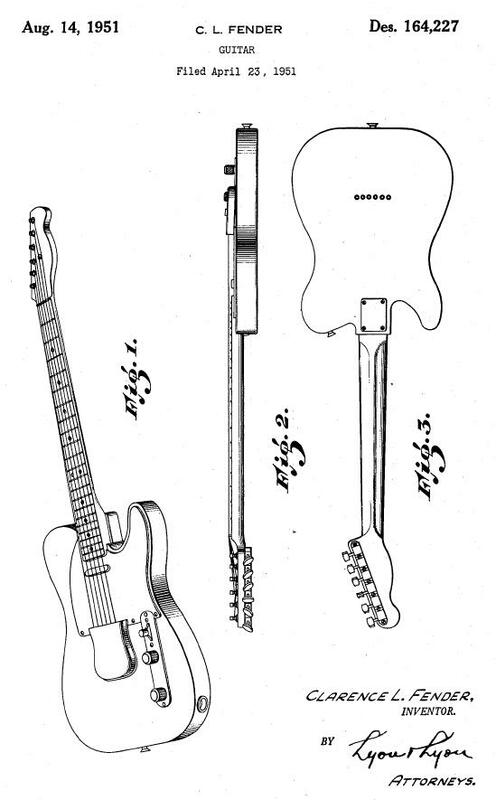 It’s Teddy’s birthday today, too. So should we. Fly your flag for the U.S. Navy. 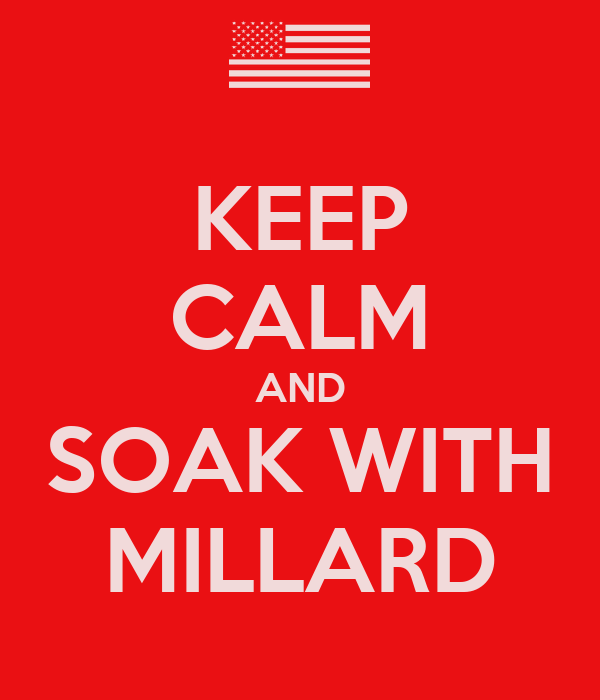 Look for other posts on Navy Day and Navy history at Millard Fillmore’s Bathtub. Theodore Roosevelt in his office as Assistant Secretary of the Navy. 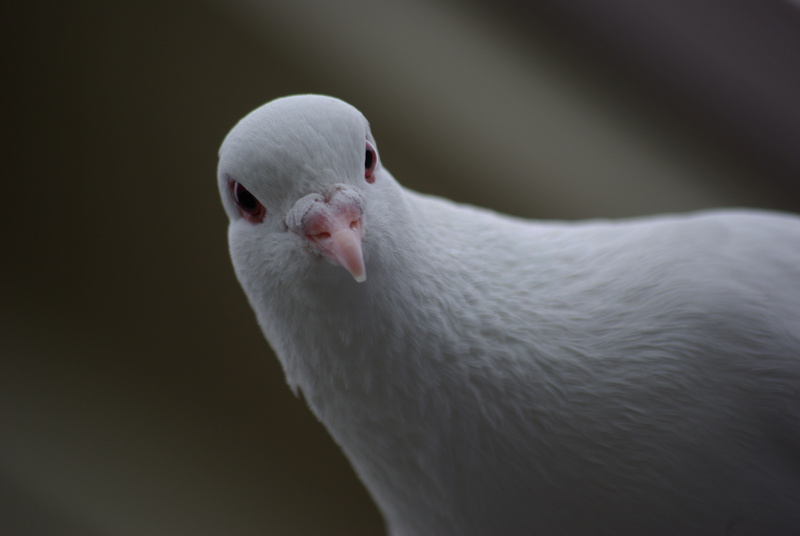 DOD image. 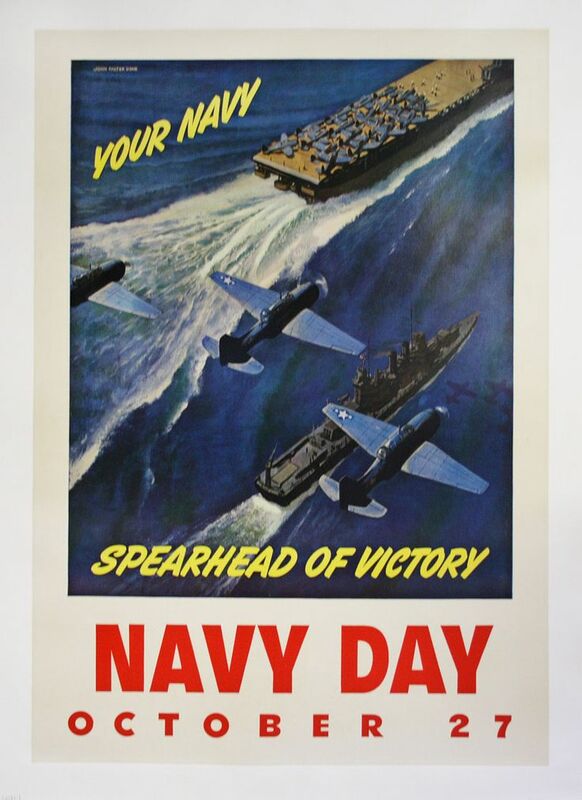 Navy Day poster, early 1940s, featuring the battleship USS New Jersey. A reminder to fly your U.S. flags tomorrow in honor of the U.S. Navy. We celebrate Navy Day each year on October 27, one of the score of dates designated in the U.S. Flag Code to fly Old Glory. Still important in 2016: Fly your flag for American labor, Monday. Especially important in 2016. It’s a presidential election year. Wave the flag! Labor Day is the “traditional” start of the campaign for the presidency. In your town, most likely, there is a picnic sponsored by a union or other pro-labor group, at which you would be welcomed and can meet many of the candidates in your local races. Go! Labor Day 2016 in the United States is a federal holiday, and one of those days Americans are urged to fly the U.S. flag. 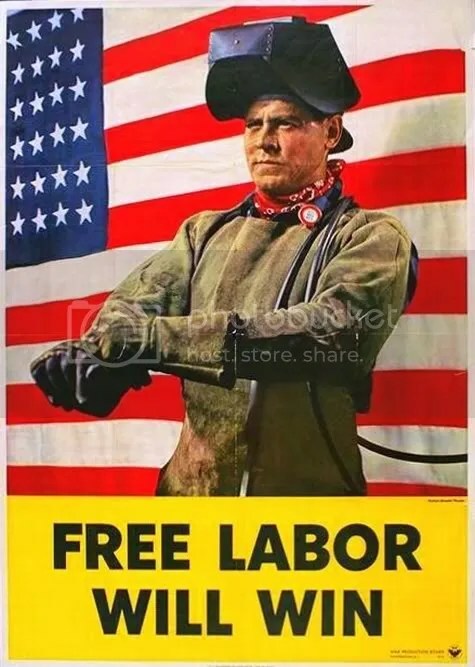 “Free Labor Will Win,” the poster said, encouraging a theme important during World War II, when unions were encouraged to avoid strikes or any action that might interrupt work to build the “arsenal of democracy” believed necessary to win the war. Labor complied, the war was won, and organized labor was the stronger for it. In 2015, some have difficulty remembering when all Americans knew that our future rides on the backs of organized labor. 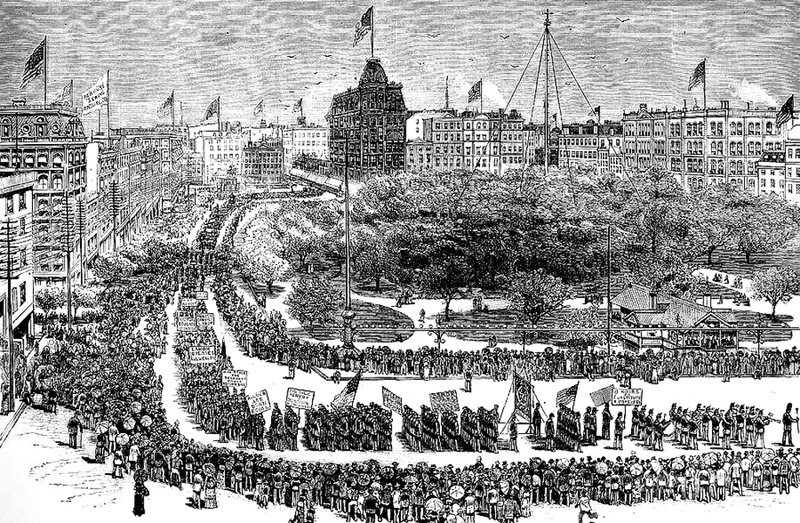 In war, America turned to organized labor to get the jobs done. Not only do we owe a debt to labor that deserves remembering, we have many jobs that need to be done now, for which organized labor is the best group to turn to. Even down here in deepest, darkest-right-to-work Texas, patriots fly their flags to honor Labor today. It’s heartening. What’s the history of labor in your family? While you’re celebrating Labor Day . . . This is an encore post, a Labor Day tradition. Still important in 2015: Fly your flag for American labor, Monday. Labor Day 2015 in the United States is a federal holiday, and one of those days Americans are urged to fly the U.S. flag. 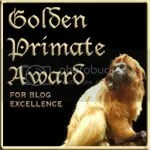 This is partly an encore post, a Labor Day tradition. 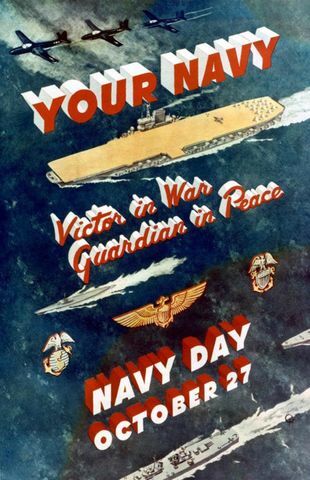 Navy Day, October 27, is designated in the U.S. Flag Code as one of those days Americans may, or should, fly our flags. 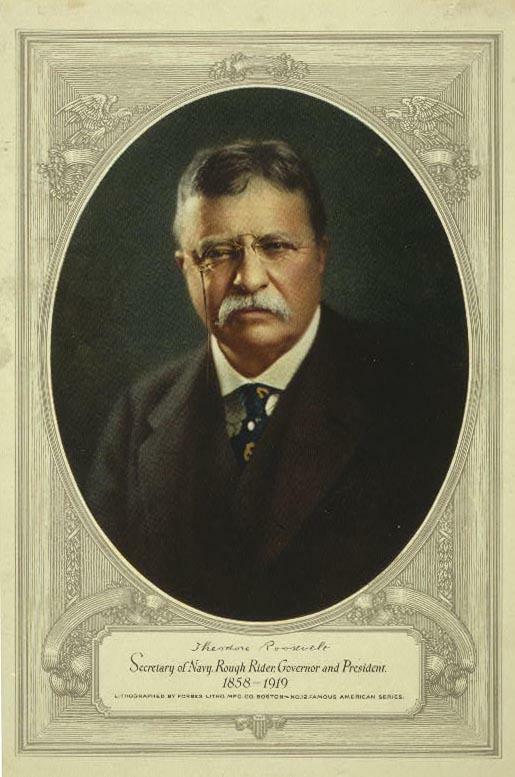 October 27 was suggested by the Navy League to recognize Theodore Roosevelt’s birthday. Roosevelt had been an Assistant Secretary of the Navy and supported a strong Navy as well as the idea of Navy Day. In addition, October 27 was the anniversary of a 1775 report issued by a special committee of the Continental Congress favoring the purchase of merchant ships as the foundation of an American Navy. 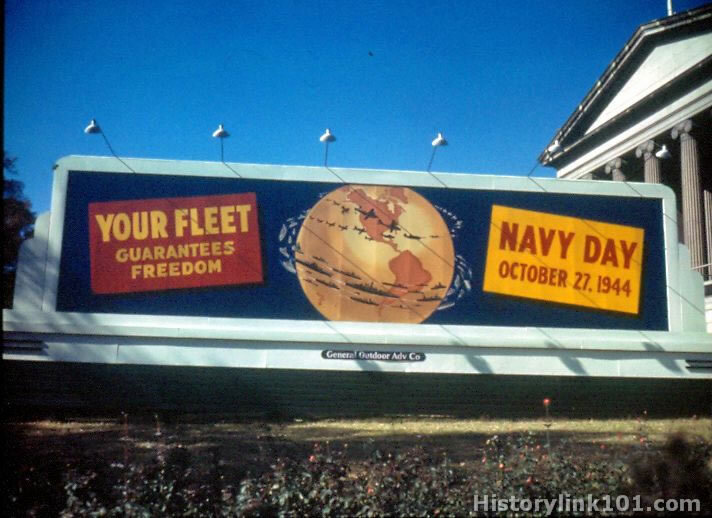 Navy Day was last observed on Oct. 27, 1949. But, of course, it’s still designated in the Flag Code. 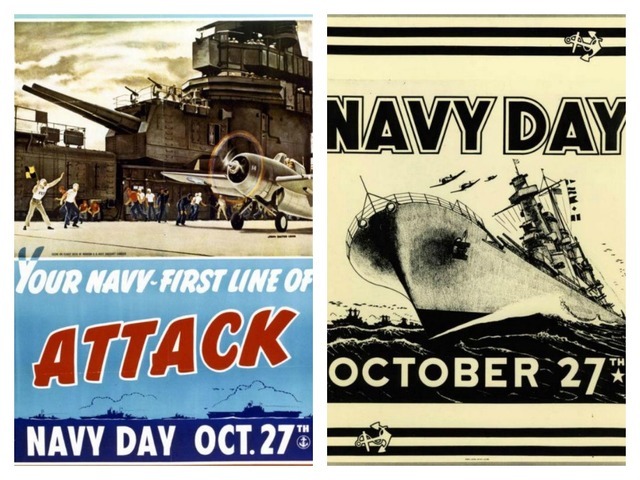 October 13 is the Navy’s birthday; what’s the difference? Still important in 2014: Fly your flag for American labor, Monday. Labor Day 2014 in the United States is a federal holiday, and one of those days Americans are urged to fly the U.S. flag. 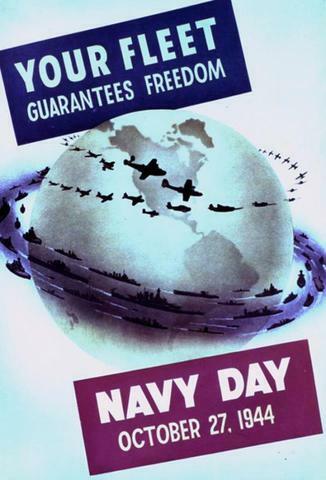 “Free Labor Will Win,” the poster said, encouraging a theme important during World War II, when unions were encouraged to avoid strikes or any action that might interrupt work to build the “arsenal of democracy” believed necessary to win the war. Labor complied, the war was won, and organized labor was the stronger for it. In 2012, some have difficulty remembering when all Americans knew that our future rides on the backs of organized labor.